Golden cupped blooms sit above bright green collars of leaves to add cheer to your spring garden. Easy to establish, these undemanding aconite bulbs will return year after year with virtually no maintenance, to create a carpet of colour. Perfect for naturalising in informal areas of grass or planting in the dappled shade of deciduous trees. These longlasting and top quality ‘in-the-green’ bulbs are delivered in spring when the plants are growing, either in flower or after flowering, they can be planted straight into position - the benefit being you won’t forget where you planted them, as you would with dry bulbs! A great way to achieve years and years of cheery spring colour in your garden. All of our bulbs are grown from cultivated stock. Height: 8cm (3). Spread: 5cm (2). BillyOh 4000M Tete a Tete Tongue and Groove Summerhouse – 6’x8′ Manufactured by BillyOh.com. 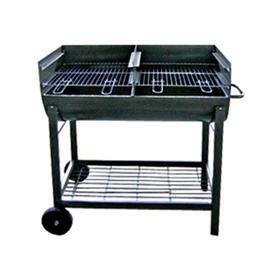 The BillyOh MC-26 Drum Charcoal Grill BBQ is a fantastic industrial BBQ that has a wide variety of cooking features for a great spring or summer BBQ. Position: full sun Soil: moderately fertile, well-drained, neutral to slightly alkaline soil Rate of growth: average to fast-growing Flowering period: August to September Hardiness: fully hardy The colour of the fleshy foliage is reason enough to grow this drought-tolerant sun-lover, as it is a dusky shade of purple that intensifies as the summer progresses, providing a beautiful contrast to silvers and pinks. This plant is also valuable though for its long flowering season, producing small clusters of bright pink blooms, which are irrisistable to butterflies, bees and other pollinating insects. A great little plant for the front of the border or pot. 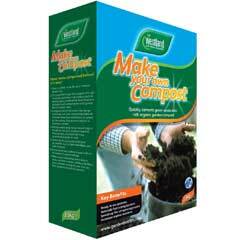 Garden care: Apply a generous 5-7cm (2-3in) mulch of well-rotted garden compost or manure around the base of the plant. 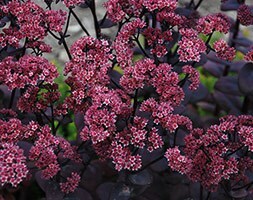 Once established, sedums can have a tendency to flop leaving an open and unsightly centre, especially in fertile soil. One technique to help prevent this is the ‘Chelsea chop’. During the last week of May (Chelsea Flower Show week), cut one in every three stems back to the ground. This will produce plants that are less lush and flower slightly later. Voted summer flowering bulb of the year for 2014 ! Gladiolus Callianthus (acidanthera) is a beautiful and unusual gladioli with white flowers and purple centres. Growing to around 75cm in height, it will produce its beautiful fragrant blooms in August / September. Gladioli like a well-drained, moisture retentive soil in full sun and protected from strong winds. Good for borders and as cut flowers. Dual planting is recommended; one for the garden and one for cut flowers. For the best effect, plant in clusters of 5 or more. Gladioli need water during the growing period and mulching with compost will help conserve moisture. Staking can be necessary; after the buds are formed, place canes or stakes at about 5cm from the base of the stems to avoid damaging the corms. In very cold areas, lift after flowering and store frost free over winter. Planting some corms every few weeks from April to June will ensure flowers from summer to autumn. The Hozelock auto-reel is a wall-mounted unit, complete with a 30m hose, that automatically rewinds your garden hose, without any kinks, tangles or effort. The rewind never gets too fast because the patented braking technology keeps the rewind speed under control. 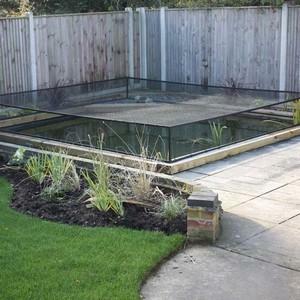 It has a 180° pivot allowing you to reach every area of your garden, along with a child lock to prevent misuse. Share Summer with Friends and Family . A beautiful sunny day is something that you should enjoy and make the most of with friends and family. The BillyOh Comfort Round Metal Garden Furniture Set is the perfect addition to your garden for when the sun is out and you want to spend a day relaxing with friends or enjoying an al fresco meal with family. The set is beautifully finished by the black table-top glass, which has been tempered to make it strong and durable easily withstanding any spilled drinks or dropped cutlery, so you can host the perfect summer get-together. Beautifully Styled and Finished . Featuring stylish and lightweight aluminium and a sleek round glass table top, this Comfort 4 Seater Set encompasses practicality and a contemporary image that will revitalise any garden. The lightweight nature of the aluminium gives you ultimate flexibility as you can easily manoeuvre the table to your chosen location, and easily move it again if you change your mind. The easy-wipe glass table and textilene chair fabric allow you to quickly clean any liquids or foods that spill on the set, this means you can easily keep your beautiful garden set looking in top condition. Dine in Comfort . Designed with your comfort in mind, this BillyOh metal furniture set comes with 4 textilene reclining chairs as standard. The chairs feature 5 reclining positions so you can find your most comfortable position and relax for longer. If you choose that you want to store your seats away when they re not being used, they fold down to a compact size for easy storage. This also makes the chairs very portable and easy to transport, so you can take them out with you for a picnic or day trip.